Please watch this video which demonstrates how to set up and take down a portable crib. Be sure to remember “Pop, Lock, and Drop“! 1. Pop up the sides until they lock into place. 2. Drop the center down. 1. Pop the center up. 2. Unlock the sides by pushing in the buttons. 3. Drop down the sides. 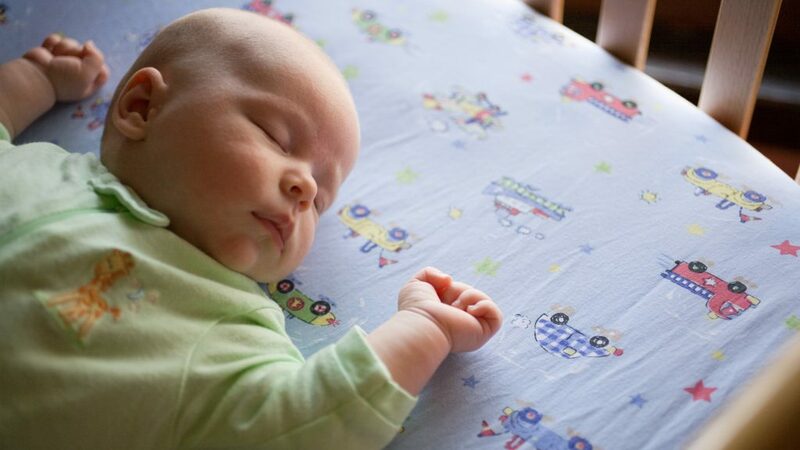 Please watch this video to learn about Safe Sleep practices. Please watch this video to learn more about SleepSacks. Since your baby needs to be alone in the crib (no blankets), you can use a SLEEPSACK ensuring that your baby is warm and safe.